Mobility Chiro Therapy is pleased to offer you whole body cryotherapy at our office in The Woodlands Texas. 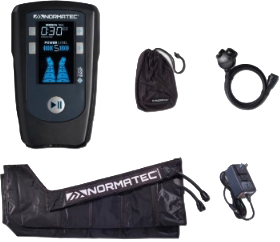 Most people know cryotherapy from using ice or cold packs on an injury. The cold makes blood vessels constrict, reducing blood flow and helping pain, swelling, and inflammation. 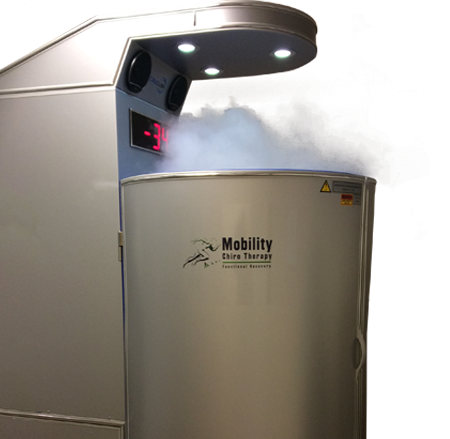 We offer whole body cryotherapy at Mobility Chiro Therapy. Whole body cryotherapy uses nitrogen, a safe and naturally occurring gas, to quickly lower your body’s core temperature. Treatments in the cryosauna are simple. You can engage in your normal activities before and after cryotherapy, including work-outs and exercise. Each treatment lasts two to three minutes. During this time, the cold stimulates your body’s organ regulatory functions and increases your energy, helps cells rejuvenate, boosts your immune system, and promotes overall self-healing. People often experience a sense of well-being because of endorphins released by cryotherapy too. Many professional athletes use whole body cryotherapy including Kobe Bryant, LeBron James, the Dallas Mavericks, and members of the Green Bay Packers. Here are some of the benefits. All cryotherapy in our Woodlands office is overseen by Dr. Clayton Hall. Dr. Hall will review the benefits and indications of cryotherapy with you, and help you decide if it is right for you! To make an appointment with us at our office in The Woodlands, please use our convenient web form or call us at 281-202-7812.